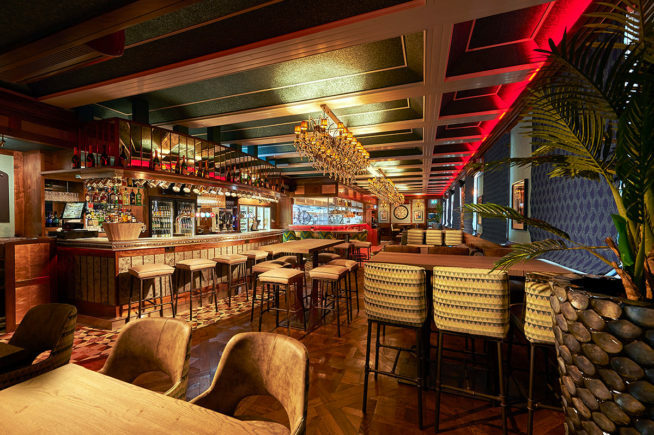 C8 have completed the full mechanical and electrical fit out at the new JB Parker’s Restaurant, Bar & Wine Cellar for Sarnia Hotels alongside JW Rihoy, which was awarded following the success of the Rocquettes Hotel project last year. Working closely with the client, architect and interior designers C8 were able to create bespoke mechanical and electrical services for the kitchen, bar, restaurant and cellar. The fit out included the air conditioning system with custom painted units to blend into their surroundings as well as major extract system in the brand new commercial kitchen. The team at C8 implemented ingenious design solutions to the ensure the commercial ventilation systems and plant were installed in the restricted space available whilst been hidden from view and meeting the strict noise and emission regulations. Total installation of functional and design lighting including impressive chandeliers, coloured LED mood lighting, bright kitchen work lights and above counter heat lamps, which was all designed and installed by our fully qualified team. Full sanitary ware and hot & cold water services fitted to the bathrooms, kitchen and bar innkeeping with the ongoing design theme throughout the bar.